Hiscock Legal Aid Society is proud to announce the promotion of Nickie Trice to the position of Client Services Coordinator. 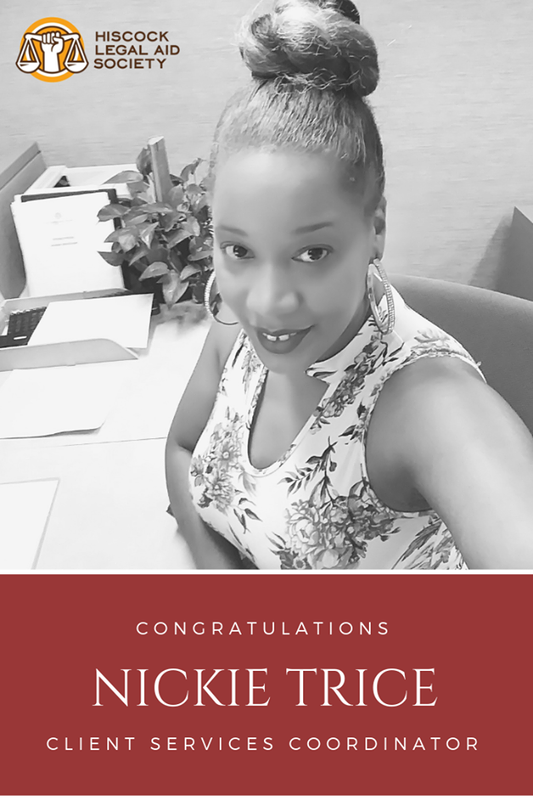 Ms. Trice is the first face many people see when coming to our offices and her interactions are marked by professionalism and compassion. Ms. Trice has been with HLA since 2009 when she joined as an intern through the Jobs Plus program. After her internship, she was offered a job as receptionist, then promoted to senior receptionist before assuming her new role as client services coordinator.